It can be tough to know what to do when someone you know experiences a loss. You want to convey your sympathies, but it can be tricky to know how. You want to allow the family time to grieve, but at the same time let them know that they’re in your thoughts. Many people aren’t sure what to do when someone passes away. Sure, you care and want this to come across. But there’s a certain etiquette that should be adhered to. This goes for sending funeral flowers too. Sending a funeral tribute to the family of the deceased will let them know that you’re in their thoughts. But they might be following certain customs. There’s etiquette if you want to send funeral flowers too. Different religions tend to have different customs and rituals they follow at the time of a funeral. It’s important you know what these are if you want to arrange for flower delivery, or just get involved and express your sympathies in some way. Sikhs have their own customs, certain traditions that are followed when someone passes. In Sikhism, it is believed that based on karma, the soul lives on through reincarnation. Death is a cycle on the way back to God. To prepare the body for the funeral, it is bathed in a yogurt bath. Prayers are recited, first by the family alone, then by the community in a Gurdwara in a community prayer. The body is then dressed in nice clothes along with the five symbols of Sikhism; Kesh, Kirpan, Kara, Kachera and the Kanga. Two common daily prayers are recited in a service led by the minister. In Sikhism, the body gets cremated. This usually occurs three days after death. The ashes of the deceased are either scattered over or buried in the earth, or immersed in flowing water. It’s important to note that Sikhs do their level best not to see this as a sad affair. The soul is moving on, continuing its cycle to God. Even close family members refrain from showing emotion at the funeral and during the days leading up to it. It’s not a time for sorrow. This will prevent the soul from leaving the body. Those expressing their sympathies to the family should remember this. Although it might be tough to do so, it’s not customary to shed tears or talk about how sad the news is. There are gifts that you can send to a Sikh family who has experienced a bereavement. A Sikh tribute in the form of flowers is an appropriate gift but not obligatory. 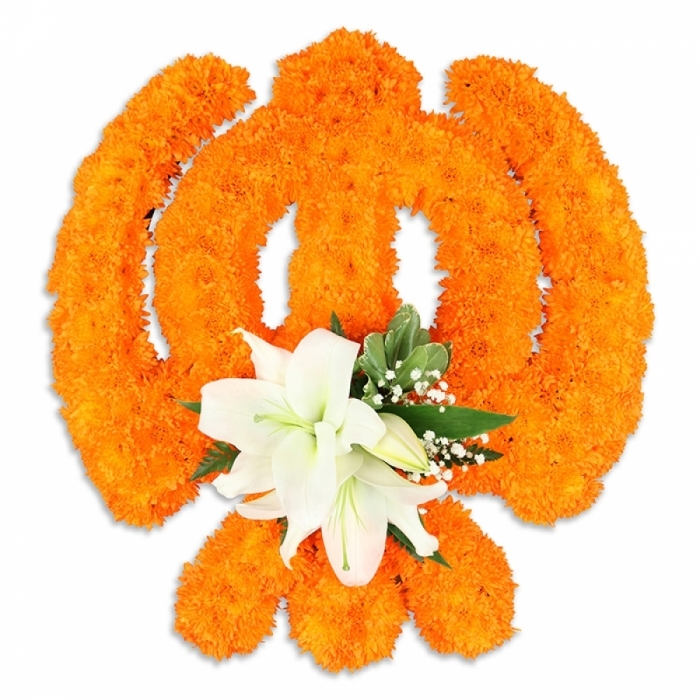 A Khanda Sikh tribute - Khanda being the symbol of Sikh faith – is the most common flower arrangement that’s sent. 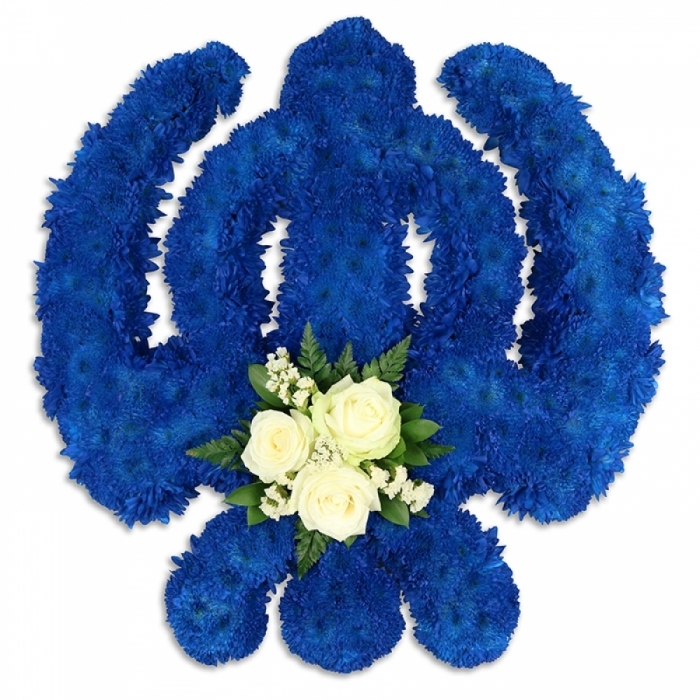 The family will often arrange a Khanda tribute and other funeral flowers to surround the body. But they do also make an appropriate gift and are put around the family home or the service at the gurudwara. The flowers you send should be to celebrate the life of the deceased. There’s no way better to do this than by sending a Sikh tribute. A lot of Sikhs don’t accept any help or any gifts for a funeral. But they urge people to send gifts or donate something to a charity or to help others. Sending flowers to a charity, often chosen by the family of the deceased, is one way that you can do this. There are of course some families who won’t accept anything at the time of a funeral, even funeral flowers. Some strict religious practices dictate that flowers should be kept to a minimum and that everything should be taken care of by the family. If you want to send a Sikh tribute, the best thing you can do is to ask the family of the deceased.